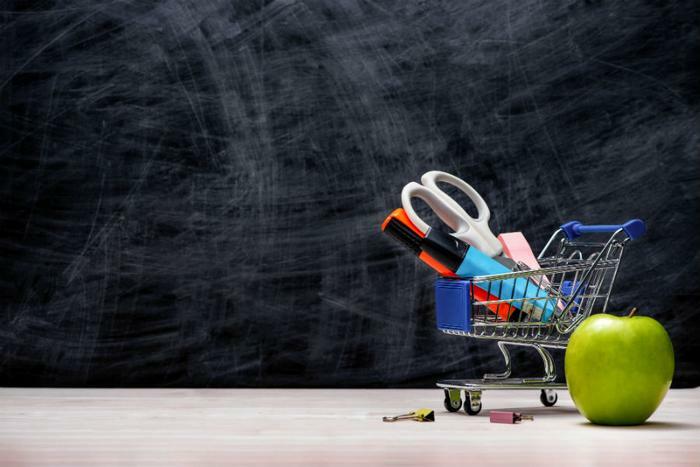 Parents are spending significantly more on back-to-school items this year, according to an annual survey from RetailMeNot. In some cases, prices have gone up. In other instances, parents are opting for more expensive versions of supplies than they purchased in the past. According to the survey, parents plan to spend an average of $189 on clothing, compared to $153 last year. The largest percentage increase in back-to-school spending is for electronics gear. Parents are spending an average of $186, compared to $121 in 2017. That's a 53 percent increase. Spending on shoes is also sharply higher this year, rising 33 percent, from $71 to $95. Other clothing expenses are expected to rise from $153 to $189. This year the RetailMeNot survey found that spending on backpacks is expected to rise from $33 to $45, along with higher rates of spending on pencils, folders and art supplies. In seven categories, parents are projected to spend an average of $569, a 35 percent increase over 2017 back-to-school expenses. "Parents aren't just spending more money on back to school, they're getting more strategic with their shopping," says Shopping & Trends Expert for RetailMeNot, Sara Skirboll. "We found that 85 percent have given themselves five weeks to gather all the necessary school supplies for the start of the school year." Back-to-school spending has become a major event for the economy in recent years, while causing some families financial stress. Financial advisers suggest families create a back-to-school budget, like they should for any expensive event. A budget should include expenses required by the school first, before consideration is given to clothing and shoes. If your child takes part in sports or music programs, those costs need to be accounted for. Starting the shopping season early can not only remove some of the stress, but might also yield better prices on some items. If your state declares a brief sales tax holiday, make sure you do the bulk of your shopping during that time, when you could save 5 percent or more. RetailMeNot's survey of teachers found some consistent requests. Students in kindergarten through third grade need to show up at school with a set of crayons. Kids in fourth, seventh, and eighth grades need plenty of loose-leaf paper, and all high school students should have a good supply of pens when the new school year begins.